File hosting sites are very essential to individuals and Corporates who operate with large streams of files that require protection, saving and retrieval options by authorized persons, safely and conveniently. On these sites, the file owners can upload large files such as music videos, corporate documents such as white paper, get the link, and stream or share the data. The sites come at hand because conventional file sharing options such as emails do not allow for uploading large files and are also not secured with high -level encryption. Some of the three leading sites that offer these services are Nova file, Filesmonster, and Filefactrory. Access to these sites is free and registration is oversimplified. The sites also have user- friendly interfaces. All one has to do is upload their file and get a link which they can share with the target receiver .Nonetheless, for a rather than usual experience, and access to large streams of data, files, videos, and music, there are premium services that members can upgrade to. 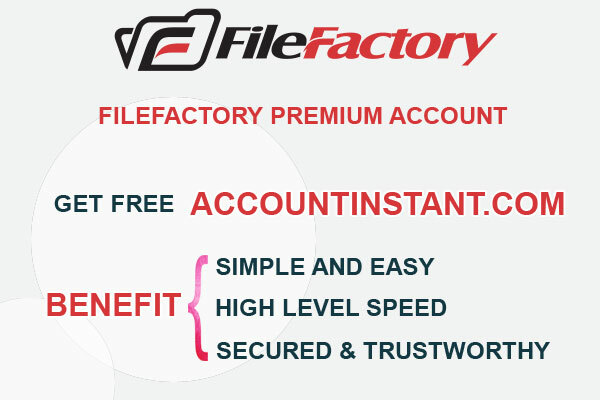 Filefactory offers unlimited premium offers to their loyal customers, and escalates their experience further by availing several discounted packages ranging from one month to annually. Filefactory premium packages come with high speed, has unlimited downloads and zero pop -ups. A monthly package goes for only $13, ninety days at $35,180-days at $59, and the annual package stands at $94 only. All the files are password protected, which also makes it possible to harness on the security and confidentiality of shared files. In case of disruption during downloading sessions, the sites are programmed to ensure the download resumes immediately after re connection, thus the site does not waste on bundles. Closely related to Filefactory premium services, is the Novafile site which offers premium services of a similar nature, with heavily discounted packages. Premium subscribers are at an advantage of accessing fast speed uploading and downloading sessions, unlimited streaming features, and undisrupted access. With this site, security is guaranteed, and access to files is highly secured, to ensure top -notch privacy and confidentiality of shared data. Novafile is a leading company and a trustworthy provider, being in the market for several years. The third service provider is Filemonster. With this file hosting site, premium subscribers stand to benefit from multiple channel access at unlimited speed. The subscribers have access to unlimited download and live streaming options as well. With more than a decade experience in creating a user- friendly platform that is secure and reliable, the site is highly reputed for its fast digital streaming capacity. There are heavily discounted packages ranging from one month to three months, at$19.99, 39.99, to 69.99 respectively. Purchasing the premium services can be done through the sites, but even better offers are available here. Filefactory premium has reselling options which give further discounts those seeking to buy from the reseller’s sites. The aim is to create a multiplier effect. The other two sites also have their premium services listed here. Payment can be done via accredited payment options such as credit card, PayPal, Payoneer as well as MasterCard and Skrill, which is a complementary convenience of buying from this site.